I posted this question to Amazon looking for assistance. "Where can I find drivers, software and documentation for this dongle? The Radarbox website doesn't provide any support information." Someone from AirNav responded that I should look to this site for more info. https://www.radarbox24.com/tracking-with-your-flightstick While this page does contain information regarding the FlghtStick, it still doesn't provide links to Windows drivers. Another user posted a more direct question regarding the drivers which AirNav responded that they would be ready later this month. Call me crazy but the first link implies that there is available software for this dongle as it does mention those wishing to configure the hardware for Windows should visit the AirNav Radarbox page. While I generally don't mind being on the bleeding edge of tech, selling hardware before a driver is even ready is too much. Is there a beta driver available? I'd be more then happy to test. I've tried that driver package as well. 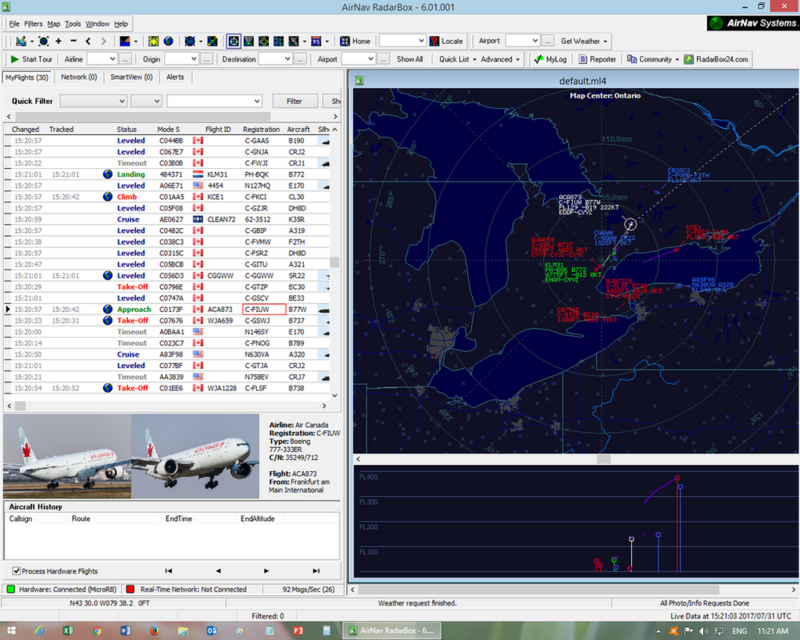 I was able to confirm my legacy RadarBox does work from my laptop. AirNav's response on Amazon has been removed but the answer for another user remains that Windows drivers are not yet available. The FlightStick page https://www.radarbox24.com/tracking-with-your-flightstick has been updated with a spectrum analysis chart and support for Windows is no longer shown. Thanks AirNav team for that. The Radarbox page now points those looking for FlightStick drivers to the MicroRadarbox drivers. These don't work. I will contact them and get back to you. I presume you have the V6 Software to go with it. Yes - I've installed all three on two system. I'll try another separate device later tonight. On one system, a Surface Laptop, I even reloaded Windows and the software with no change. Could you talk about the expected experience? I've had the original RadarBox for almost 10 years and very much like the interface. I made some assumptions when I purchased the dongle. First assumption was that I would be able to use the RadarBox app. Is this possible? No luck in getting the dongle to work with RadarBox on 3 devices. One was a fresh load of Windows 10 Pro. Yes unfortunately we will need to wait for the specific Flight Stick Drivers which fingers crossed could be with us by the end of the month. Apologies for the inconvenience caused. Is this discussion about the Flight Stick in the photo below? If so, then most likely driver zadig (https://zadig.akeo.ie) should work. With Air Nav RadarBox ver 6.01.001, I could successfully used DVB-T with driver zadig. 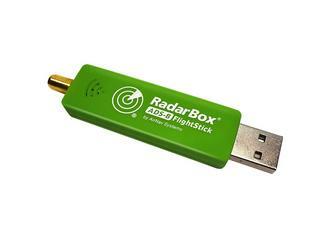 I have ordered Radarbox FlightStick, and waiting delivery. Will try with driver zadig when it is delivered. The DVB-T was detected by AirNav Software as "MicroRB"
For me and after install zadig drivers, the RadarBox Flightstick don't work with V6.02.003 and is not detect by rtl1090 (jetvision) over Silex Wireless USB Hub (SX-DS-3000WAN). Before that Radarbox Flightstick shutdown RB application. With airnav drivers I hope that this will work like RadarBox 2009 or Xrange2. Tried allready for a couple of hours with these drivers and programs. Computer recognizes the stick, zadig worked always in the feature for my other SDR dongles. No result with this one. Will defenitly need some help. Tried with SDR sharp and also no device found.